We are happy to welcome new patients to our practice. First check if you are in our area (see Practice Area tab). To register with the practice, simply download the NHS Registration form, New Patient Registration Questionnaire and the Data Sharing information document that supports it, or visit the practice to request them. Reception has a complete pack of information for new patients to help you get the best from the practice. If you download the form to start your registration process, please ask for a New Patient Pack when you bring your form in. Either bring your NHS Medical Card (FP4) with the lower half (new details) completed, or if you cannot find your card, or do not have one, we can give you a registration form (FP1) to complete. Bring the completed form with you on your first visit to the practice, together with the Online medical questionnaire for new patients. We need your medical history because it can take time for your medical records to reach us from your previous surgery. Please note that sending these forms electronically results in transmission of personal information across the Internet. The NHS end of the link is secure, but relies on your service provider also, so we cannot guarantee that this transmission is secure. You might find our Practice Booklet and Help us to help you leaflet of interest. One member can complete the paperwork for the whole family. 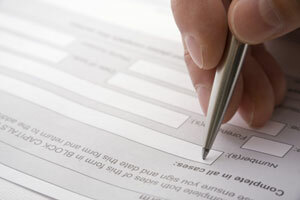 The form requires only simple information such as previous address, new address, previous doctor, date of birth. We register everyone with the practice and then assign you to a 'usual doctor'. He or she will try to see you each time you come and will be responsible for any paperwork, prescriptions or certificates you might need. Seeing your usual doctor will enable you to build up an understanding with him or her, but it may not always be possible due to working patterns, training, annual leave and other clinical commitments. If you need an appointment urgently you may be invited to speak to the Duty doctor or nurse, or for more routine matters if your usual GP is away, another doctor in the practice. Once registered, you will be invited to come in for a new patient consultation which helps us to get to know one another and assists the practice before your notes reach us from your previous practice. At the consultation we will review your past medical history, family medical history, height, weight and blood pressure and discuss with you any current health needs or concerns. The process is usually started by an appointment with one of our healthcare assistants, but if you have complex medical issues or require repeat medication you will be invited to see your doctor. 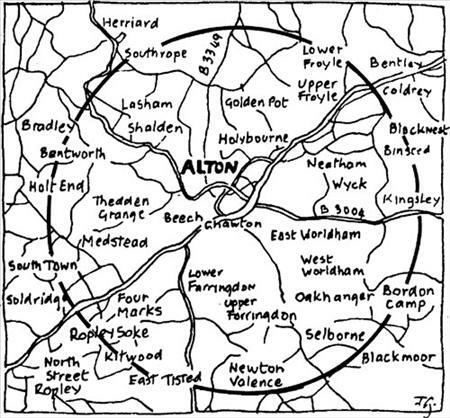 The practice serves the population of Alton, and the villages and rural areas within a radius of approximately six miles. We welcome patients from anywhere within this circle. You can only register with the practice if you live within the area we cover. This is to ensure we can support you should you require home visits or other domiciliary services. If you are staying in Alton we are happy to see you in normal surgery appointments, either with doctors or nurses. You will be asked to complete a simple form, recording your own doctor as well as your permanent and temporary addresses. If you are staying more than three months, then you should register as a permanent patient. Visitors from abroad are also welcome. Europe and Commonwealth residents can expect full access to free NHS emergency care. Some countries do not have such arrangements with the NHS, and so patients should expect to be charged for consultations. As a temporary patient we will not have access to your medical records, so will be restricted in what long term care we can offer. This will be discussed with you at your appointment but is usually best left to your own doctor.